‘…ask yourself the question have you walked yourself back in time within this life? looked at who you are in relation to that point you are making an i am statement about or of – that you have walked the entire history of that point from the moment that you can remember yourself and that you have walked back in correcting all relationships, outflows, consequence, creations and manifestations of how you have become or lived that point of i am statement and corrected it within aligning yourself in all relationships connected to that point in equality and oneness and in fact realizing that you are that point. Otherwise an I AM statement can in no way in fact be real – and it is simply empty resonating words filled with an energetic experience that for a moment make you feel you – in how you have filled or programmed those words within your own frames of reference of your mind consciousness system and will only experience that statement in the moment you speak it – when you make the real i am statement it is who you are it is what you are’. ‘…you are in absolute control of yourself and your own destiny and that absolute control is always made within the decisions you make within who you are and what you live – you can always clearly see how what you decide to participate in to experience and live as a consequence toward yourself your physical, your life your world so there’s no way that individuals say that there is some higher powerful existential force that is influencing affecting or controlling who we are and what we live and thus create when the evidence can be drawn within each individual as the thoughts, the internal conversations, the reactions the mind processes – the personalities all interact in creating who we are and what we live and therefore you always make the decision of who you are – always every single moment – and therefore you are absolutely responsible – for you and the walking of your life in this physical world so i suggest take self-responsibility for yourself’. 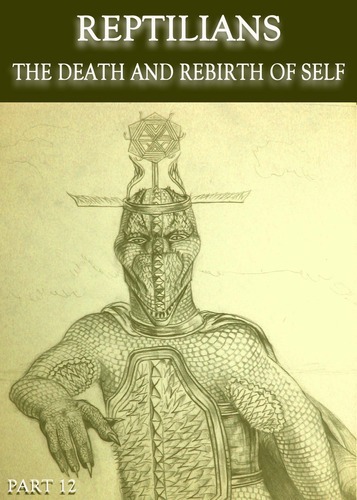 In this interview, Anu goes into Detail about the Nature of Birth and Death – why and how self-consequence manifest when one physically die and have to rebirth oneself from the interdimensional-existence, why and how self is responsible for one’s personal and existential process, how one can assist/support oneself to become the directive principle in one’s death and rebirth process while still breathing here within/as one’s human physical body instead of having to walk the consequence of death and rebirth within existence as a whole.